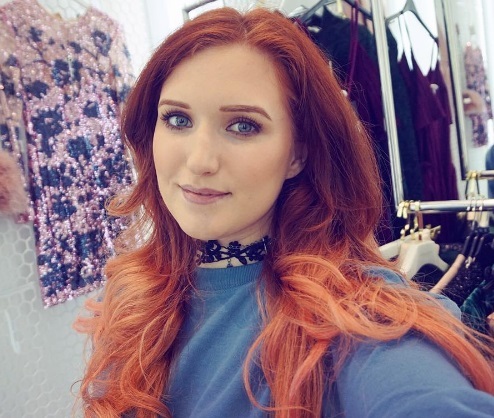 WHAT TO WEAR TO WIRELESS?! The forecast is rain for most of the day, but it's not clear if this will be some drizzle or full on showers eeek! This means my hair will be ruined sob! In the past I have been to V and Reading festivals quite a few times and was always really optimistic about rain, and so didn't really plan properly and got drenched. This time I picked up this leopard print mac from New Look, where I debated getting a plain one but opted for the bright! I picked up some cheap wellies too but can't decide whether to wear these River Island flatform trainers instead, as the festival has no camping so I doubt Hyde Park will be a mud fest! What do you think? I'd rather ruin these and buy another pair of trainers and return the wellies! Also got the standard flower headband and will be wearing these aztec socks from New Look definitely! All about cool socks at the moment. Now onto the outfits! 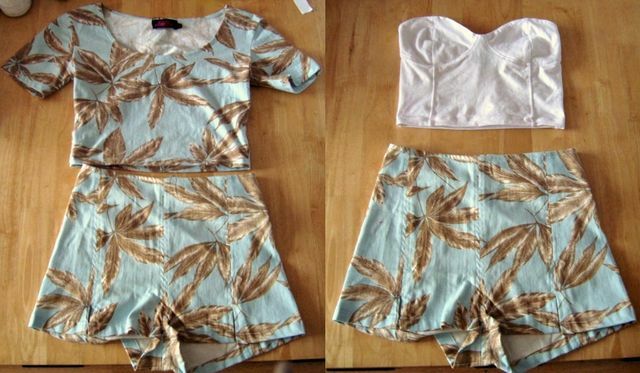 I cannot decide which of these shorts and tops to mix and match! I decided to definitely wear shorts for ease in portaloos and because I never really have chance to wear shorts in the day time! I'm not a huge fan of black tights and if not, that is a lotta leg on show for a normal work day. I might wear these Motel Rocks Dixie Shorts in the palm print (there are some Dixies in the sale for just £12 too!) as they are perfectly high waisted and the little cuts into the hem are really flattering (you can't really see them in these pics). Inspired by Taz, a member of the marvellous Motel web team, I could match prints with the matching palm crop top, or go with the ever cute white Hillary Crop - we sell a shed load of these as they can be worn with anything and stretch over your bra nicely so don't fall down. Or I could go for classic denim high waist shorts from H&M like these with maybe this River Island neon lime crop top (only £3 in their sale! ), Topshop skull bralette (although I think just about everyone owns this), or another Motel Rocks palm print Brandy Crop Top. Decisions, decisions, what is your vote?! I'm swaying towards the palm shorts maybe, but then again the denim are so sturdy and reliable! I will most likely be wearing that mac so don't want to look too prints crazy. Also what are your thoughts on hats? I have a sort of black boater/bowler style hat like Demi Lovato but I am concerned someone cheeky would steal it off my head! !